Imperial retractable awnings are our most versatile awning, developed to offer a multitude of options and designs to provide shade to any space. Built on the same platform as the Royal awnings, the pitch adjust has been removed to allow for an optional front drop screen. The Imperial Drop Screen is available on awnings up to 20’ wide with a maximum of 10' in projection. 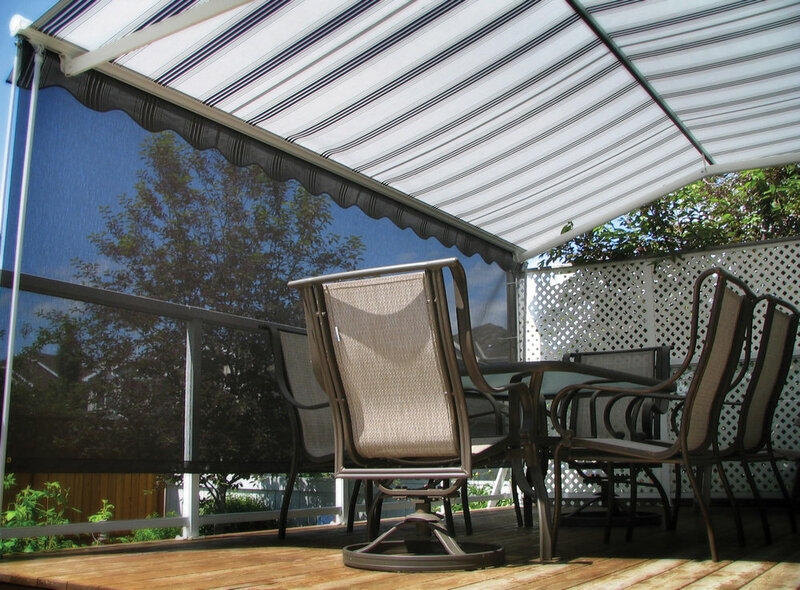 When desired, this unique feature can be extended down 5 feet, reducing glare and offering added UV protection from afternoon or late day sun. This unique fabric also allows for added privacy while maintaining your view. The addition of the center beam increases frame & fabric support, making it one of the strongest awnings on the market today. This beam also increases headroom and provides a unique look like no other awning. In addition to our standard white powder-coated finish, most sizes are also available in black or driftwood.